Housemate/grandma sitter/carer wanted - FREE RENT! We are a young(ish!) 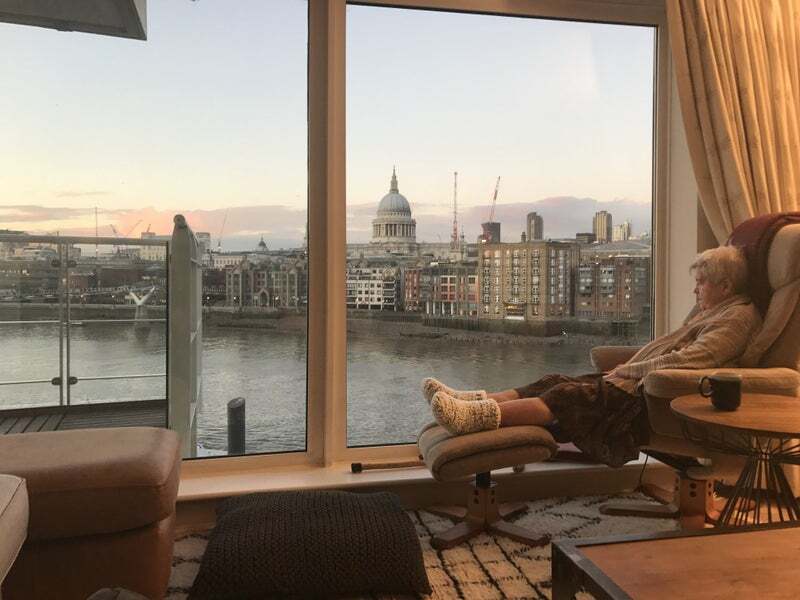 couple looking for someone to help us take care of grandma Margaret, in exchange we are offering free accommodation at our beautiful 3 bedroom apartment overlooking the Thames on Southbank. 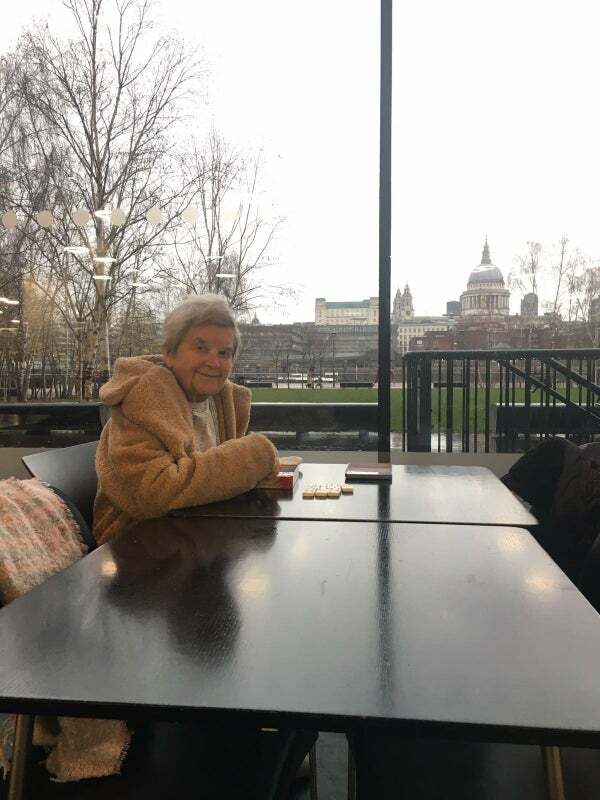 Margaret is 93, has a fondness for crosswords and puzzles, loves music - especially the piano and singing old drinking songs- and weirdly knows all 90 minutes of Handel’s Messiah off by heart! She misses baking, making tea and feeling like she’s helping people but still gets a lot of joy out of long walks followed by a nap. She suffers from occasional memory loss which is partially vascular dementia and partly old age. Ross is Margaret's grandson, he is 40 (going on 20), loves good espresso, likes to work out, always up for a tennis match, fantastic piano player, an Oxford physics graduate, was founder of a very successful web business and now semi-retired working on the worlds longest coffee break. He currently is infatuated with his new electric skateboard. A spectacular 2000sqft three bedroom three bath apartment with a huge balcony boasting stunning river views along the Thames situated right next to the Shakespeare Globe Theatre. The bedroom we are offering is fully furnished with fitted wardrobes and ensuite with river view. We are due to move in to the flat on the 3rd October so all the furniture you see in the pictures will be replaced with our own funkier bohemian style inclusive of a new grand piano. In late October Margaret is moving from a care home in Staffordshire to live with us in our new rental flat. We're all excited about what this new chapter could bring to all our lives but also nervous about the responsibility that comes with this change - and scared senseless about not making too many mistakes! 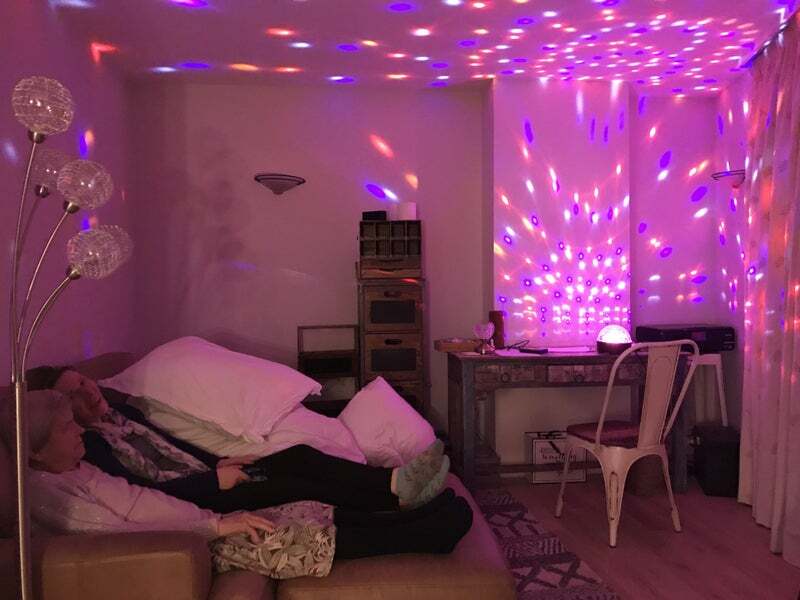 We actually live in Shoreditch in a warehouse apartment but as our home is totally unsuitable for grandma (too many stairs, no lift and no amazing views), we're letting out our home and using the funds to rent this very special river flat. We would like for Margaret to have company and someone to look after her at all times. This will very often be us but we want to be extra sure someone is always around to spend time with her and make sure she doesn't get bored or go on a secret adventure and get lost anywhere....! We have also found a lovely carer who will be helping us with this two days a week and are looking to our new Flatmate to help out with this new responsibility. We are offering accommodation including bills (worth over £1500 a month), in exchange for grandma-sitting duties. We ask for roughly 30 hours of grandma sitting per week and to commit to 2 nights sleeping at home (10pm-8am). 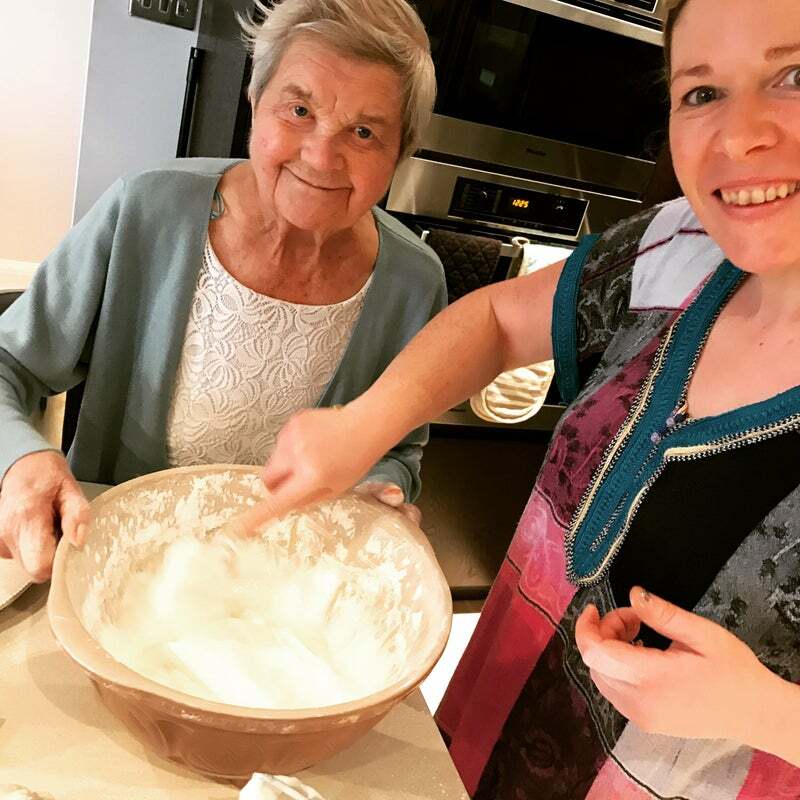 Grandma sitting involves spending time with Margaret doing all the things she likes (as mentioned above) but also helping her to get dressed, showering and sometimes cooking for her. We are flexible on which days of the week you would like to grandma-sit and happy to exchange a few hours here and there. We do ask however that you do at least 2 mornings as part of your 30 hours a week. Margaret is an early riser and tends to be up around 7/8. During the two night shifts you’ll basically be armed with an alarm that will wake you if Margaret gets out of bed and then you'll responsible for tucking her back in with a cup of (decaf) tea. She tends to do this around once a week so for the most part you’ll be sound sleep. Also, occasionally, if desired, there will be the opportunity to earn £10 an hour for any extra that you do (for example covering peoples holidays). We really want everyone in the house to be able to do the things they are passionate about; study, music, star gazing, work, go out, get seriously fit or whatever it is, but also be willing to be around to find those 30 hours to help with Margaret at times schedules and needs allow. A caring soul, someone fun, patient, a bit cheeky but with a big heart. Caring experience (either personal or professional) is desirable but not essential. 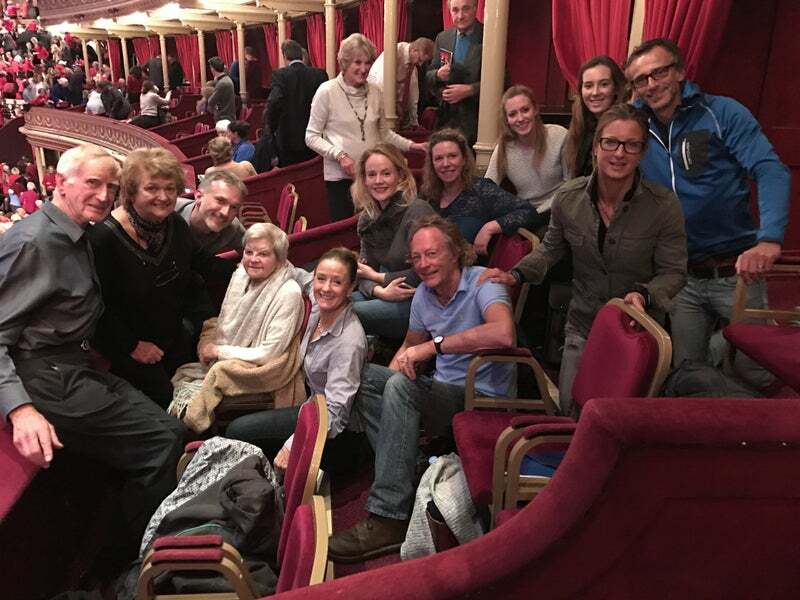 Someone musical (or with lots of musical friends!) would be great but again not essential. A quick apology to those who have enquired and not yet had a reply -we've been overwhelmed by the response and are working our way through the emails as best we can. We have had over 200 enquiries in total! Thank you to all those who have contacted to wish us well or share their own stories of caring for a loved one - it helps a lot - we are really nervous about the responsibility we are about to take on and want to try our best to get it right. This includes those of you who have kindly offered to come and sing/play music to my Nan! You are awesome and we will be baking lots just for you!!! - the river flat isn't owned by us. I'm renting this beautiful river flat as I think it's pretty close to perfect for my Nan (views, walks along river, lift access, pier for boats, buskers to listen to, benches to sit on, spare room for additional company/help). - I'm aware we are probably over doing terms of the amount of help we need. 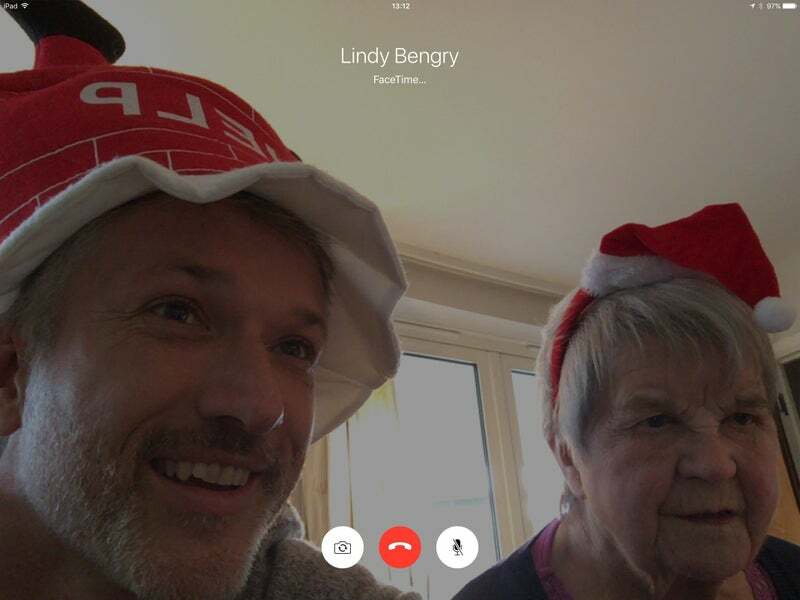 I want to spend a lot of time with my Nan (and vice versa!) and there's going to be a lot of overlap but I'd rather this and my Nan be spoilt for choice for with whom and what what she wants from each day than us constantly be exhausted and in a pickle. >>>Musicians who would like to come and jam/play/rehearse for cakes! 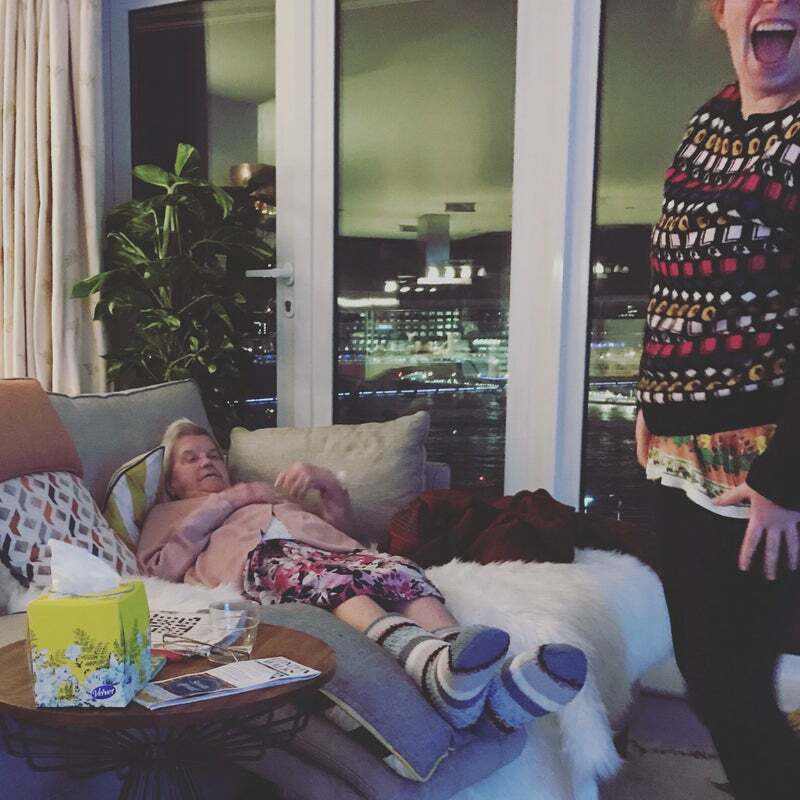 So... Nan has moved to London!!! 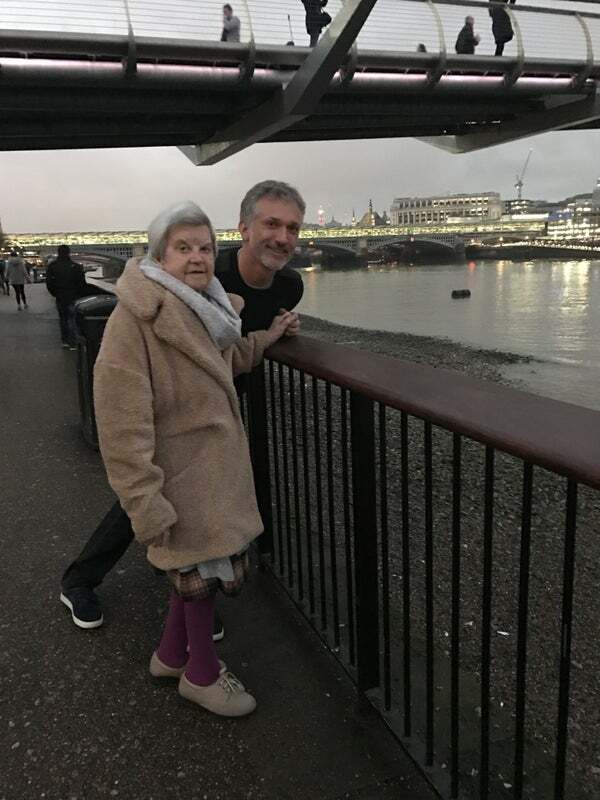 She's settled in well and loving the river walks, daily singalongs and piano sessions, dominoes and flipping frogs, as well as a generous portion of naps in her chair by the window or simply watching boats go by. She's come off a third of her medications already due to healthy eating and daily exercise and I've never seen her smile and laugh so much as we've seen in the last 8 weeks. Although it's been exhausting and stressful, it's also been incredibly rewarding and fun. 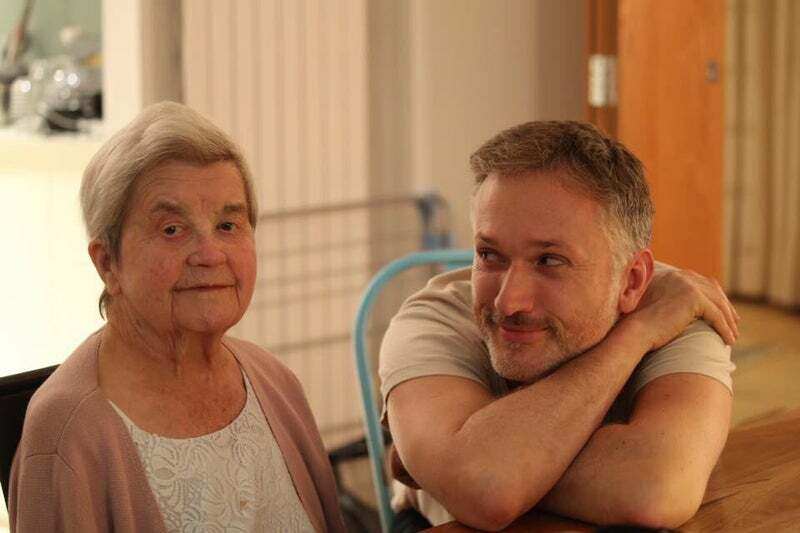 We have an awesome flatmate now called Janey who is also the primary Carer for Nan 4 days a week. We are still looking for part time helpers though (my Nan needs 24/7 care given her dementia). We are happy to pay £10 an hour and offer shifts of 3hrs to 24hrs. We are primarily looking for bubbly, clearly spoken, musical people ideally with some care experience or a mature capable character. If you're interested in helping out do get in touch!! !